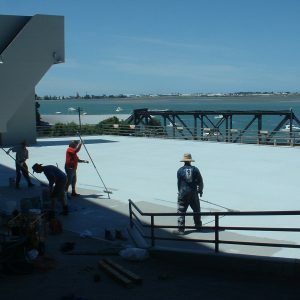 Waterproofing is a major requirement in any property asset protection programme. 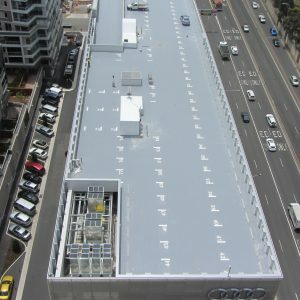 Polymer Group has pioneered the use of high performance, seamless, in-situ polyurethane membranes. 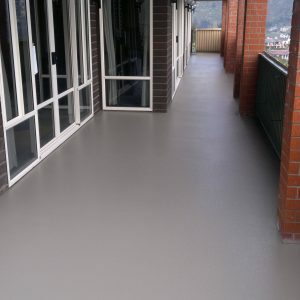 These materials are bonded directly to the substrate in liquid form and then cured to a tough, resilient and wear resistant barrier which eliminates the ingress of water into any building structure. The seamless nature of the material coupled with the tenacious adhesion characteristic of polyurethane materials eliminates all joints and seams and prevents the tracking of water beneath the membrane. 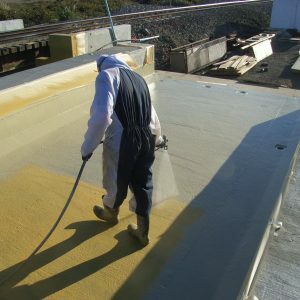 Polyurethane materials provide excellent, durable performance under the most severe conditions for a variety of applications.